Everything The O.C. : The O.C. Behind the Scenes: Everything the Cohen backyard ocean backdrop! The O.C. Behind the Scenes: Everything the Cohen backyard ocean backdrop! 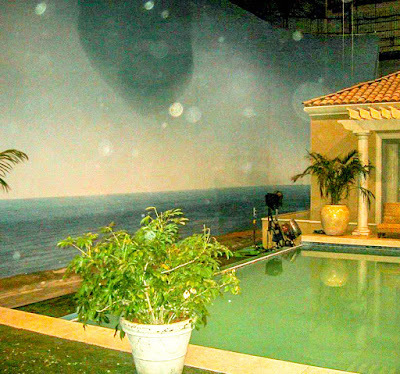 After the pilot episode of The O.C., the shows creators basically re-constructed the Cohen house located in Malibu, CA at The Raleigh Studios (sound stage) in Los Angeles. With Seth's room, kitchen and backyard area being closely replicated from the original pilot house. 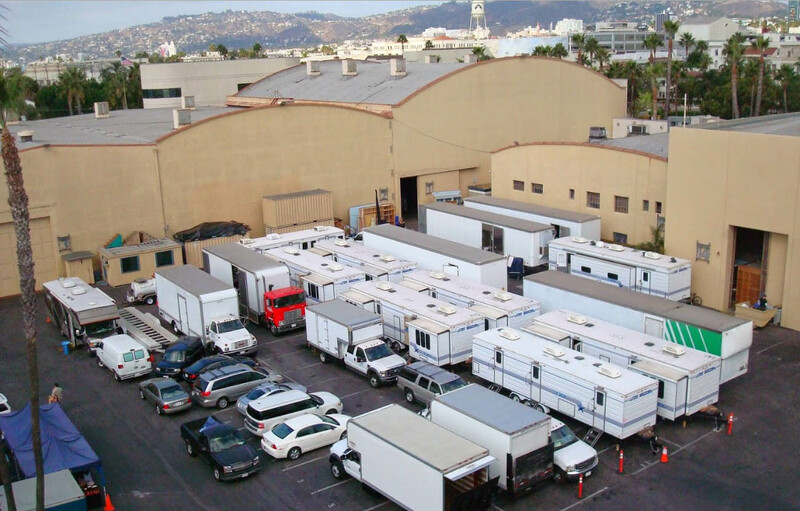 But since the show was filmed on a sound stage there was limitations on what they could and couldn't do. 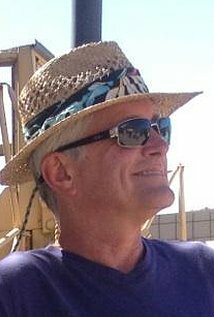 Thomas Fichter, the production designer of The O.C. managed the construction and overall design/look of the set. We caught up with him last year and he shared some very cool exclusive secret details regarding the set with us. One of the main limitations of shooting The O.C. in the studio was creating a realistic outdoor feel. Weather, plants, lighting etc had to be created and appear realistically to the viewer. 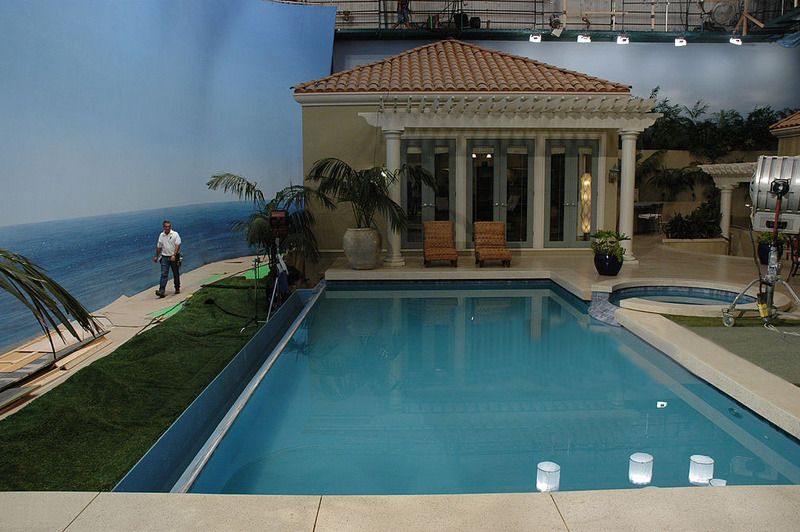 Even the backyard was built up higher than the rest of the set so the horizon could be seen from multiple angles and appear correct inside and outside of the Cohen house. To add realism Thomas Fichter added a wonderful ocean backdrop to the Cohen backyard which is seen in many episodes. Although the way the backdrop was constructed is pretty old school, it did the trick. The Cohen backyard ocean backdrop was painted to resemble a luxurious ocean view which also featured small folded strands of glued acetate on the ocean area. Outdoor lighting would shine onto the backdrop, Thomas would then hook up fans, blowing the acetate strands giving the backdrop a realistic shimmery water effect. 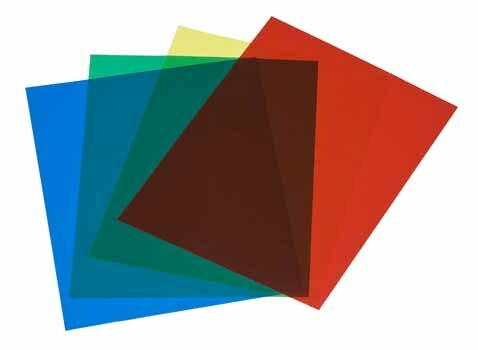 Later in the series Thomas said that they had to remove the acetate strands because they started filming digitally and they were easily seen for what they were on camera. On the flip-side the backdrop could be reversed which allowing for a nice sunset type look. So that was the way things were done in the early 00's. But if the show was recreated now, it would probably would have featured a full green screen background, allowing for a more flexible backdrop. We created this video to show what the backyard would have possibly look like with a digital green screen background. Throw in a couple floats in the pool, sip a cool drink and enjoy the summer view! The O.C. Fanfiction: The O.C. Pokemon Go?! The O.C. Holidays: Chrismukkah in July! The O.C. Holidays: Happy Cohen Fourth of July!